OOTD and a New Haircut at Penthouse Hair! If you follow me on Twitter you’ll know I was very excited about getting my hair cut at Penthouse Hair in Norwich on Sunday. 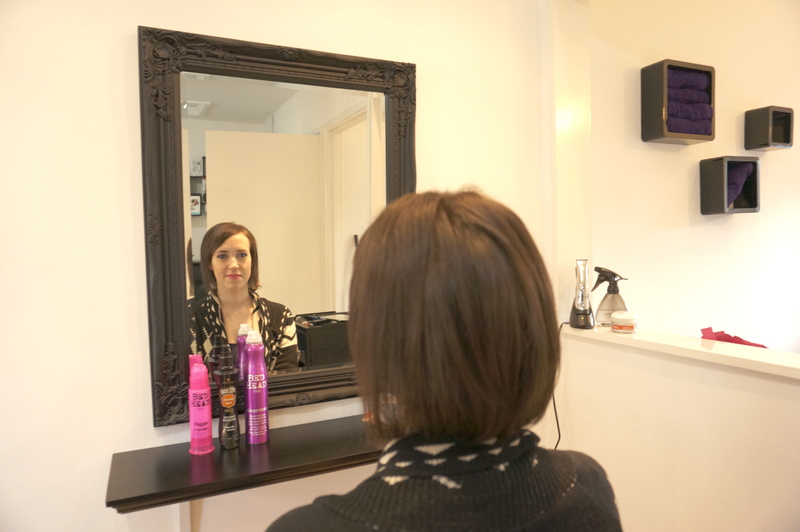 They kindly contacted me (and a few others) offering a cut, style and blow dry – I’ve needed my hair cutting for a while as it’s such a state so I was really looking forward to see what I’d come out with! I met up with Dee from deesbeautifullife for our hair cut in the morning, then an afternoon of shopping and visiting Funky Skincare at The Forum! I’ll be blogging separately about this as there’s too much to fit in one post! 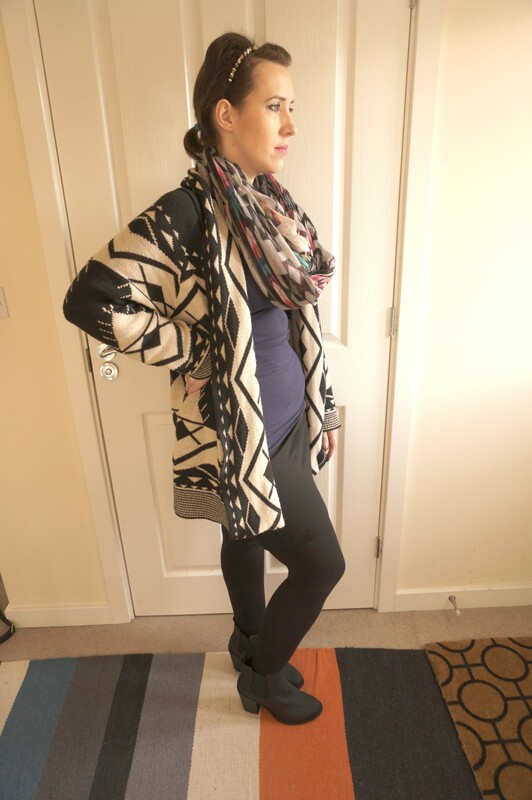 So this is me before the hair cut, this is an average day to day outfit for me – I’m wearing an aztec snood from ASOS, cardigan from ebay, vest from H&M, skirt and leggings from ASOS and boots from H&M courtesy of Bloggers Edit. Sunday was a lovely crisp day, I met with Dee and we walked to Penthouse Hair. We were greeted by the lovely Sharon and Rachael, and after a long discussion with Sharon (who is an expert in hairloss, just what I needed!) 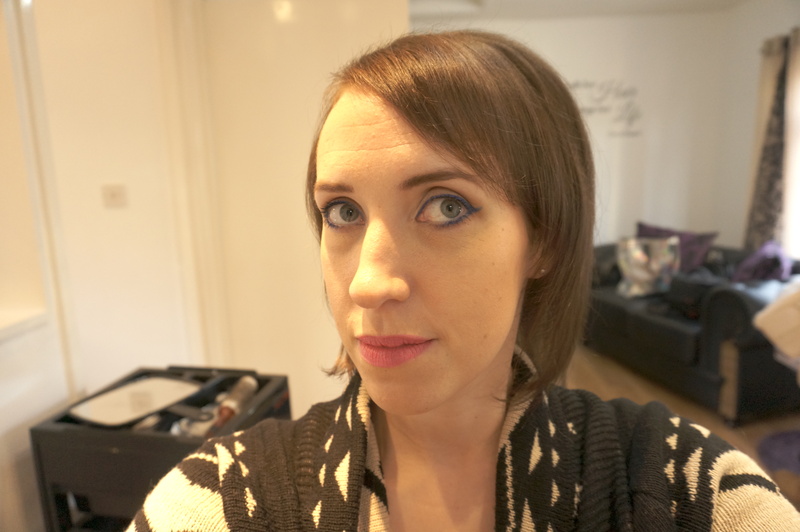 we decided it was best to go with a simple short bob, and I was advised to be patient with my hair and let it grow. I was so fed up with my hair, I was keen on having a drastic cut and dye (possibly lilac) but Sharon advised dyeing my hair would be the worst thing to do to it, as it will weaken it and cause more breakage. So I’m going to try to look after my hair more now and on Sharon’s recommendation I’ll soon be purchasing some Nioxin products to help my hair grow. I had a good trim and my hair was styled into a short bob with a side fringe. 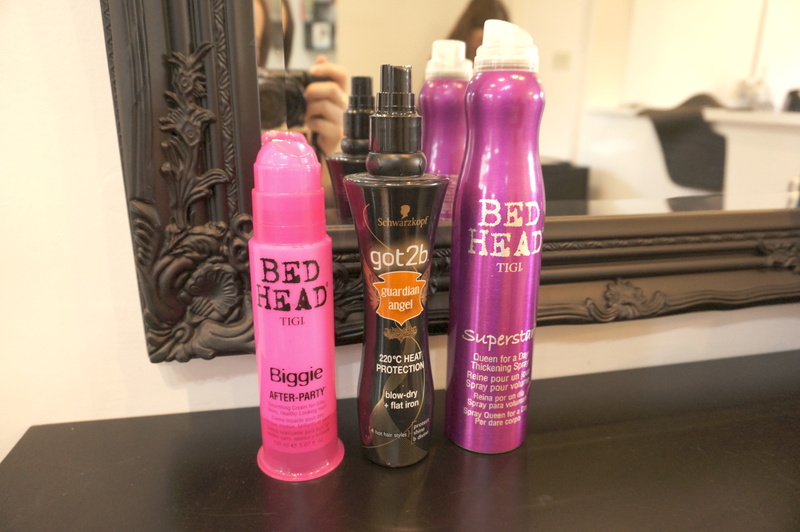 Sharon used Tigi products including BedHead Biggie After Party which is a smoothing cream to tame frizz and flyaways, and Superstar Queen For A Day thickening spray, as well as Schwarzkopf Guardian Angel heat protection spray. And this is what I ended up with! What an improvement hey! This is the first time I’ve been able to wear my hair down in such a long time, it felt great! And this is the front (sorry for the terrible face!) I’m really pleased with my new hair, it’s just long enough to tie up too which is handy! Thank you so much Penthouse Hair! 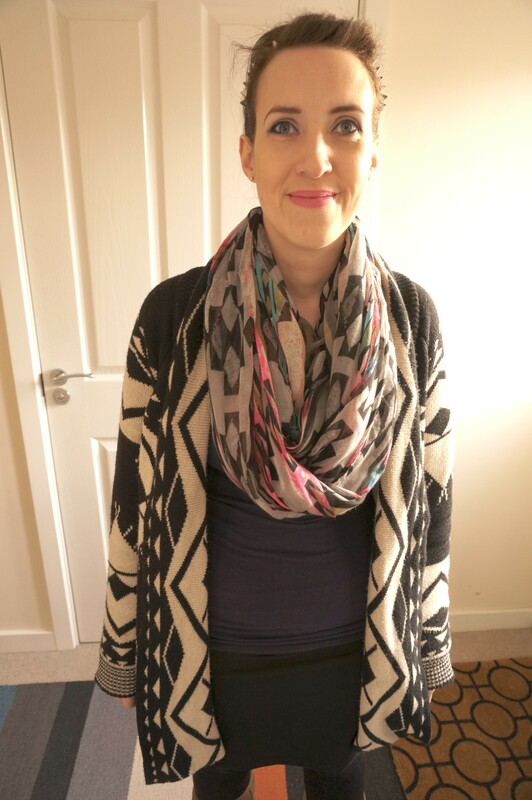 You can check out Dee’s blog post here and see her awesome new hair cut! Your new hair looks lovely! I tried Nioxin last year, and it was really good on the first couple of washes and made my hair look full, thick and stupidly shiny. But after a few weeks use, my hair was falling out like nothing I’ve ever experienced! I had to stop using it because of how bad the fall out was! I looked it up to see, and lots of women posted how it gives you bad fall out, and my hair was thin and fine and before Nioxin! You look very sweet! Love your new look!